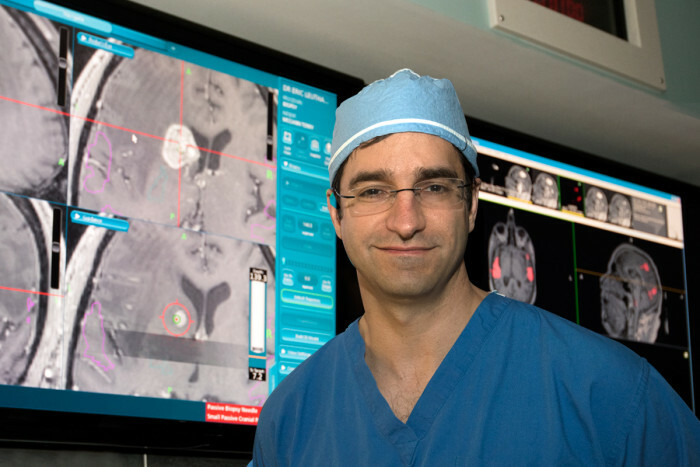 Washington University neurosurgeon Eric C. Leuthardt, MD, and others have discovered another benefit of laser surgery for patients with glioblastomas, one of the most difficult cancers to treat. In addition to killing the tumors with heat, the technology bypasses the brain’s protective cover to allow for up to six weeks of chemotherapy. Washington University School of Medicine‘s 2,100 employed and volunteer faculty physicians also are the medical staff ofBarnes-Jewish and St. Louis Children’s hospitals. The School of Medicine is one of the leading medical research, teaching and patient-care institutions in the nation, currently ranked sixth in the nation by U.S. News & World Report. Through its affiliations with Barnes-Jewish and St. Louis Children’s hospitals, the School of Medicine is linked to BJC HealthCare. Jim Goodwin covers Siteman Cancer Center at Barnes-Jewish Hospital and Washington University School of Medicine in St. Louis. He has a bachelor’s degree in journalism from the University of Nebraska.